These strainers are perfect for use with loose herbal teas. It can be used with a teapot or in the cup. 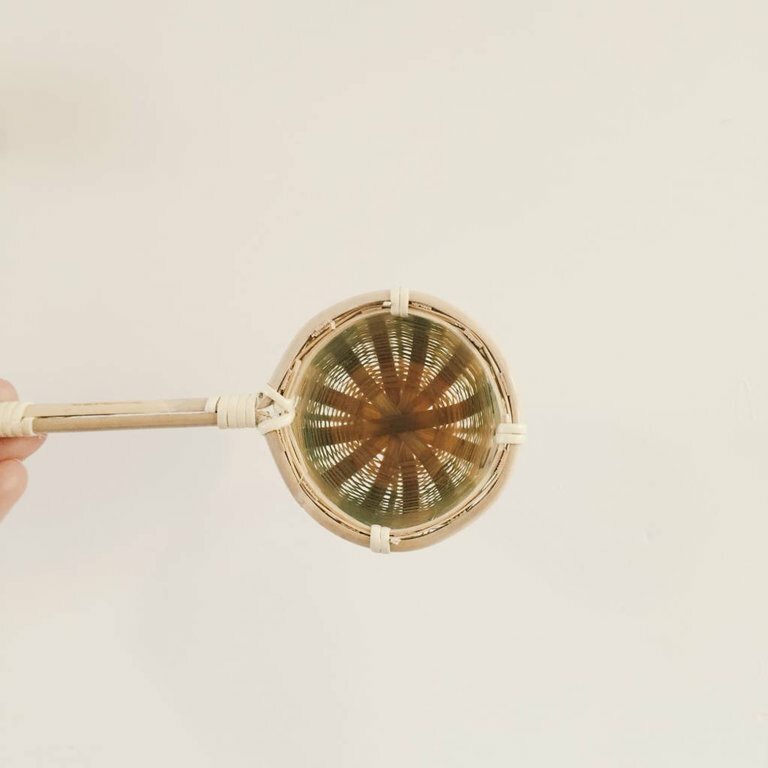 These strainers are perfect for use with loose herbal teas. It can be used with a teapot or directly in the cup. Length 18 cm incl. handle and cup is 10 cm high and ø 8 cm. 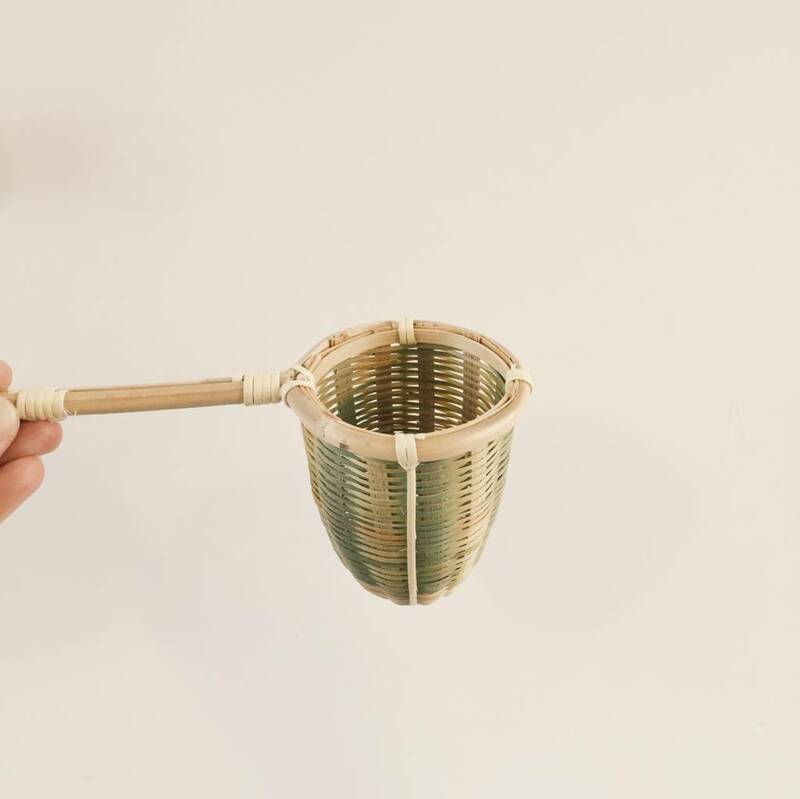 Hand woven tea strainers made of bamboo bound and strips of rattan. Made by hand in a small craft workshop in Japan. Dry thoroughly after usage and store away from direct sunlight.